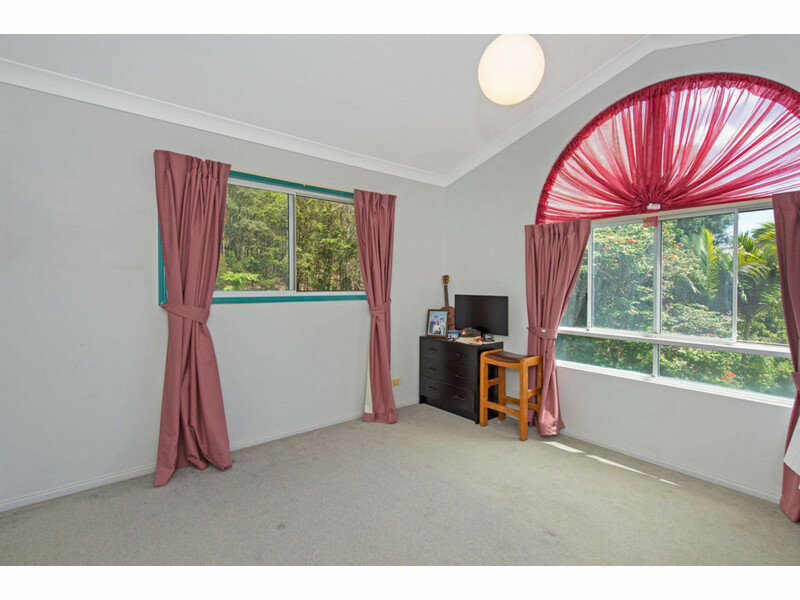 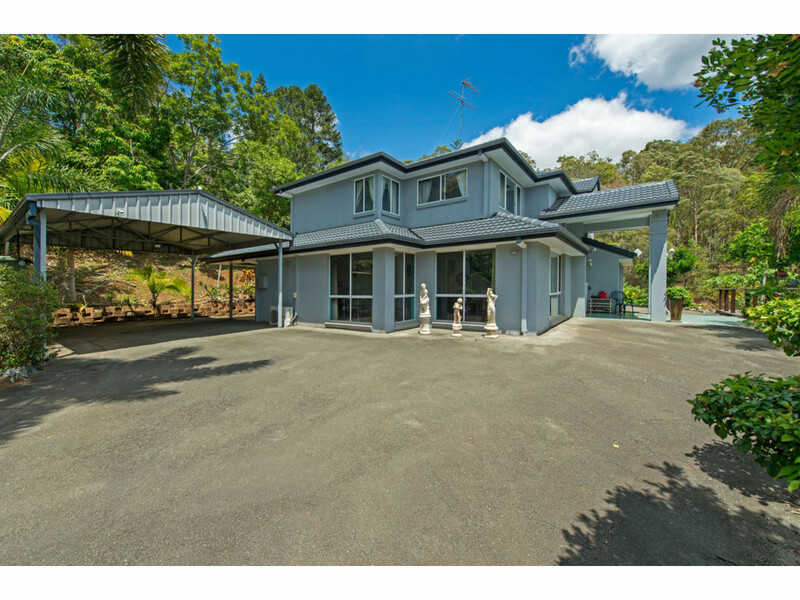 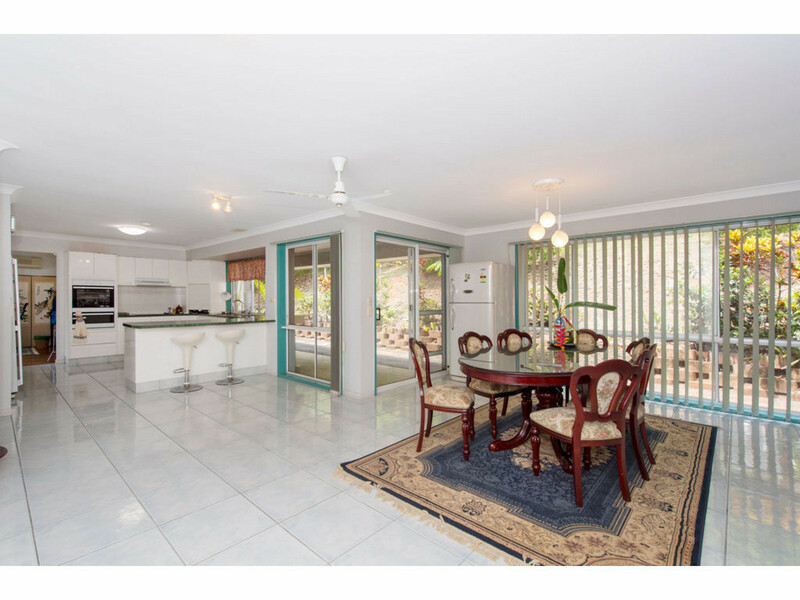 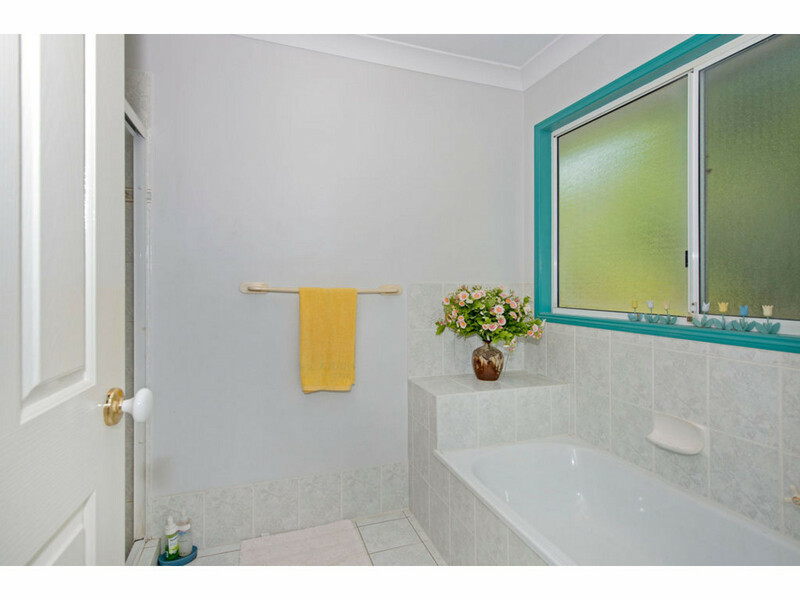 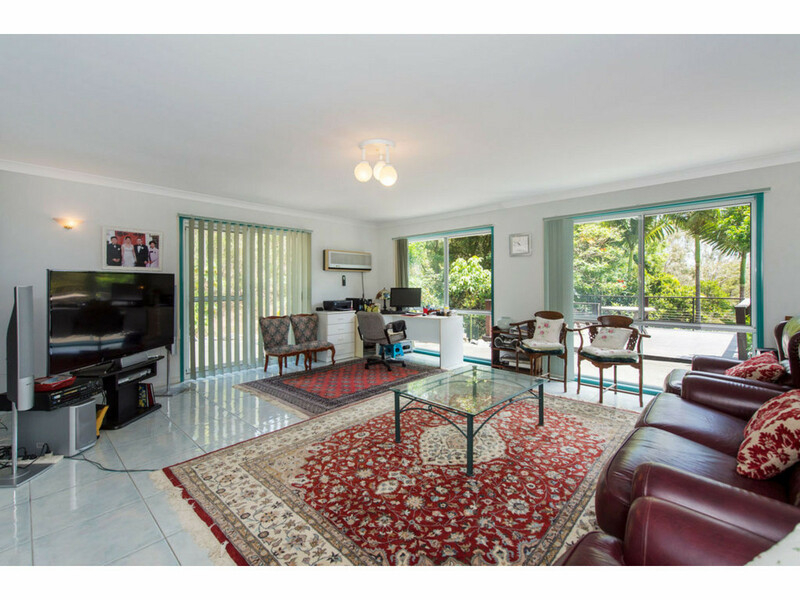 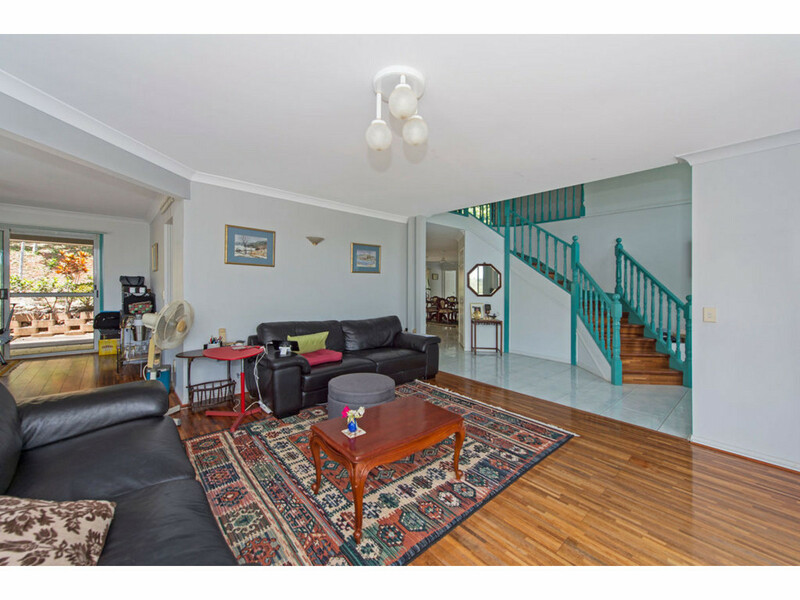 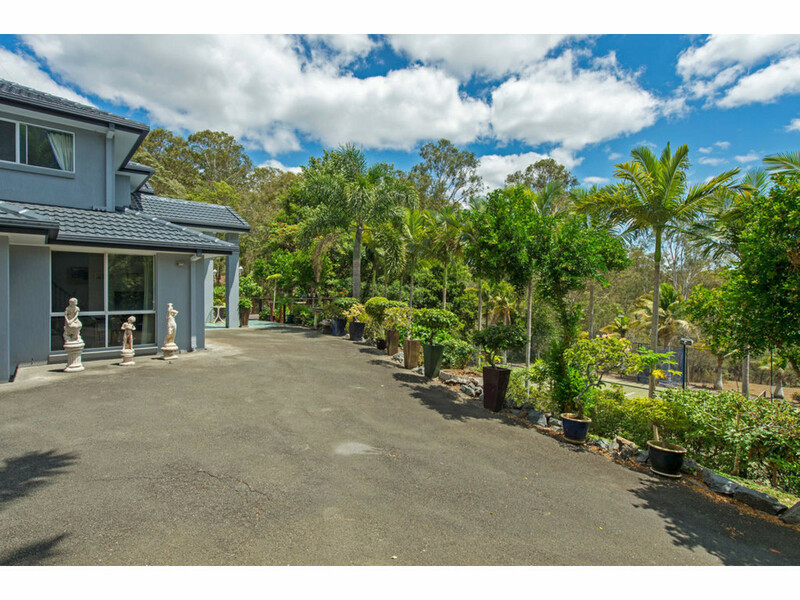 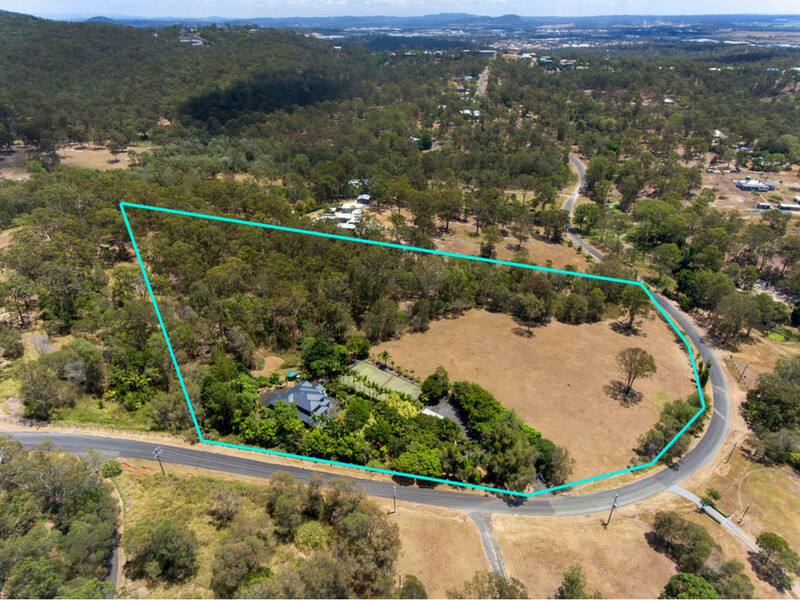 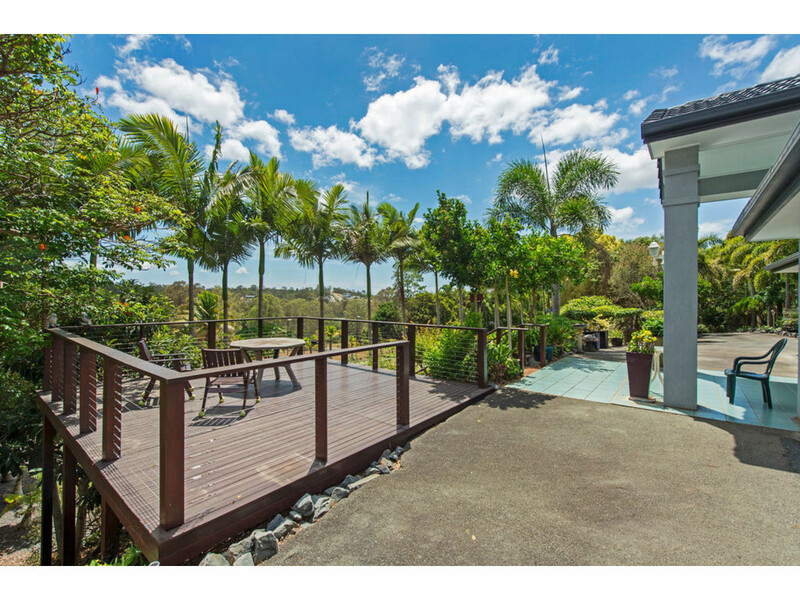 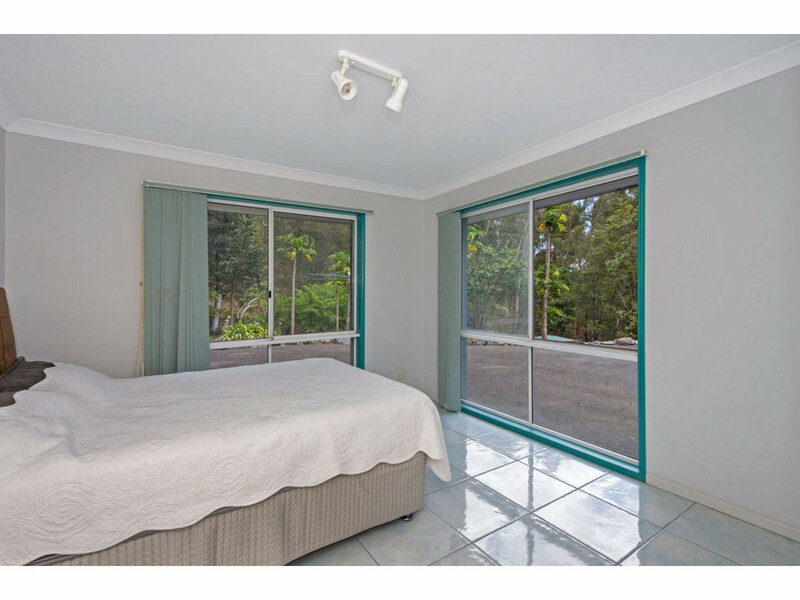 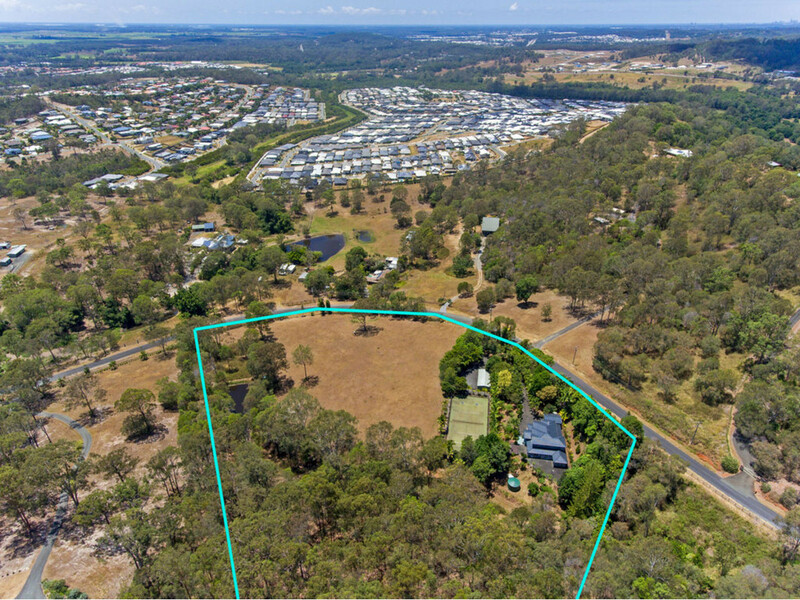 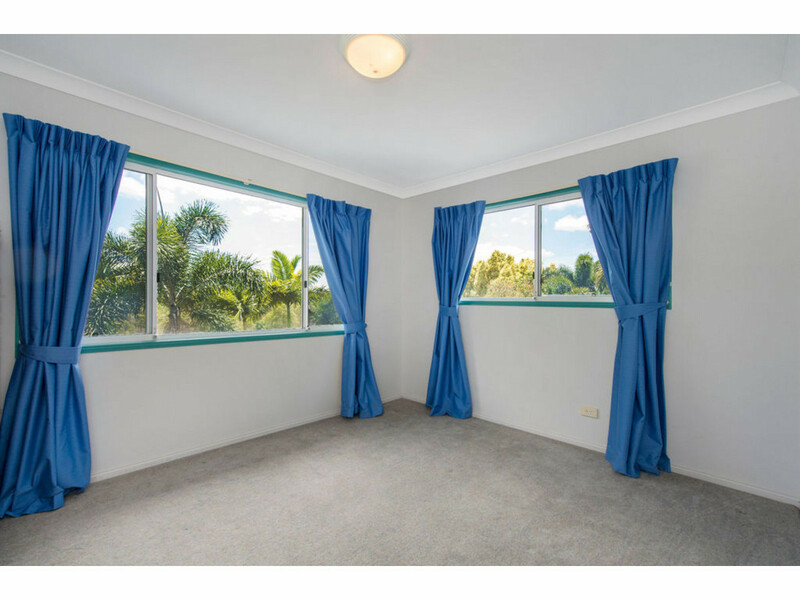 Situated on one of the Gold Coasts sought-after rural estates, minutes from the motorway and local communities offering schools, shopping, medical and train services and an easy 30min drive to the beach and attractions of the Coast. 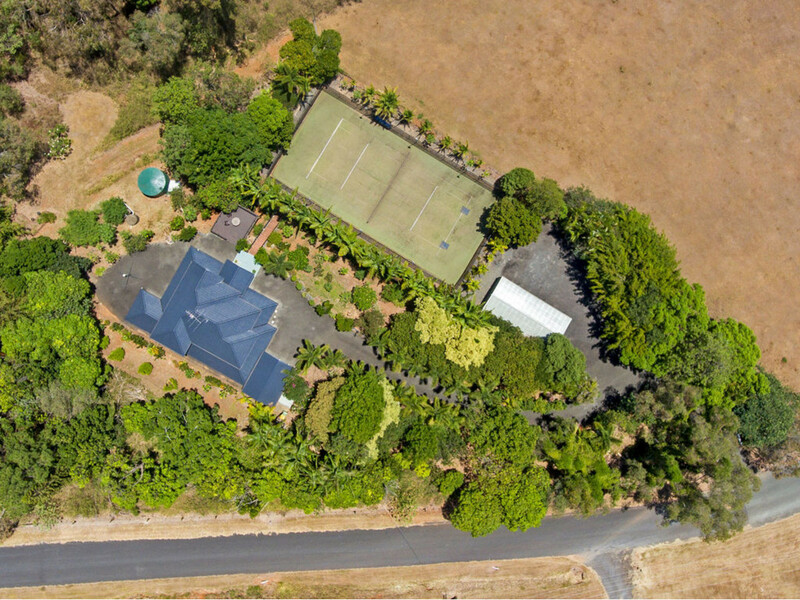 This substantial family home (320sqm), perfectly positioned on 8.4 acres, boasts three living areas and formal dining. 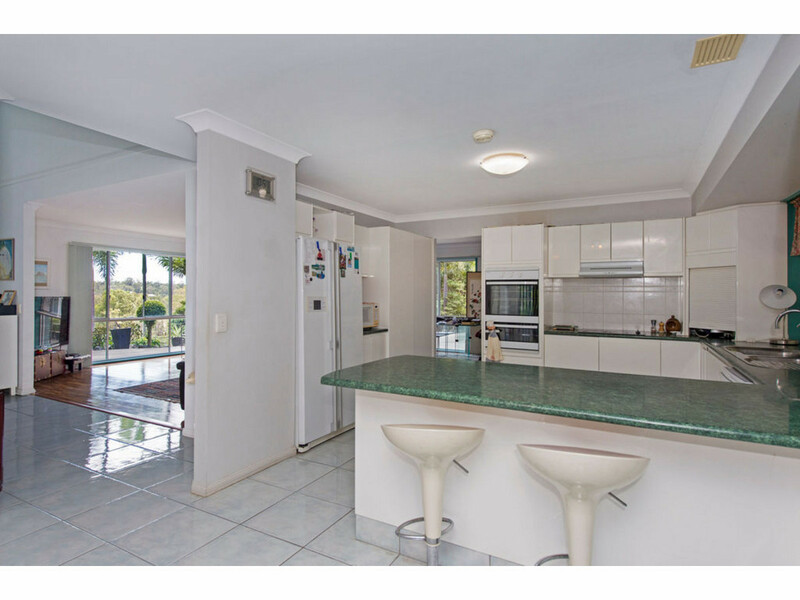 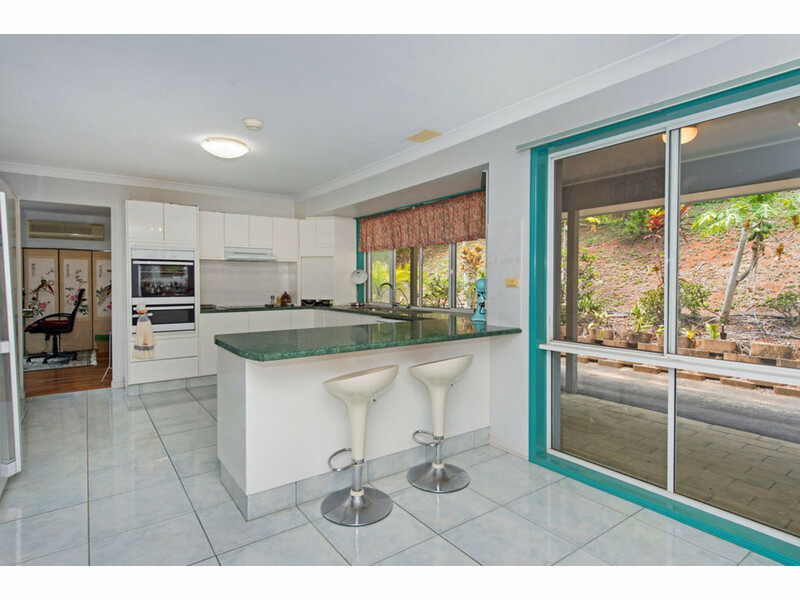 Large spacious kitchen with quality appliances and ample bench space for the keen cook and children’s breakfast time. 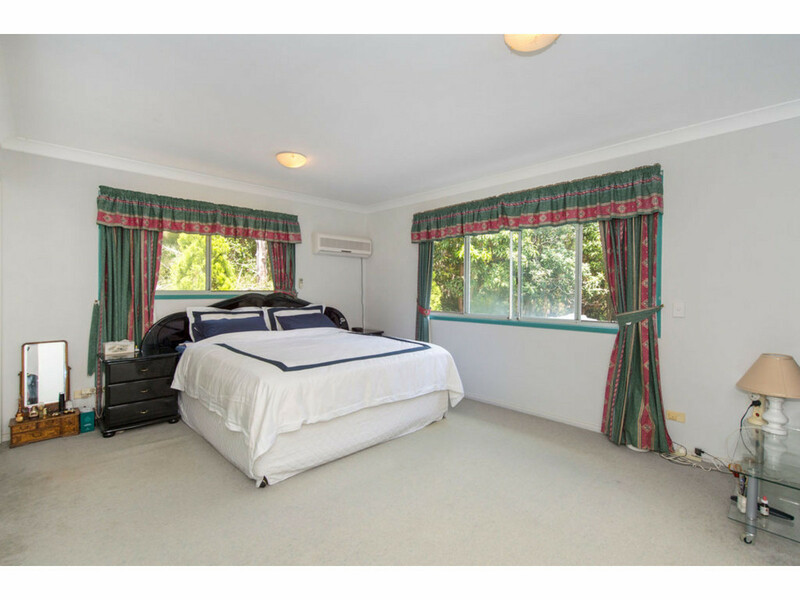 All 5 bedrooms will host large beds and feature ample storage. 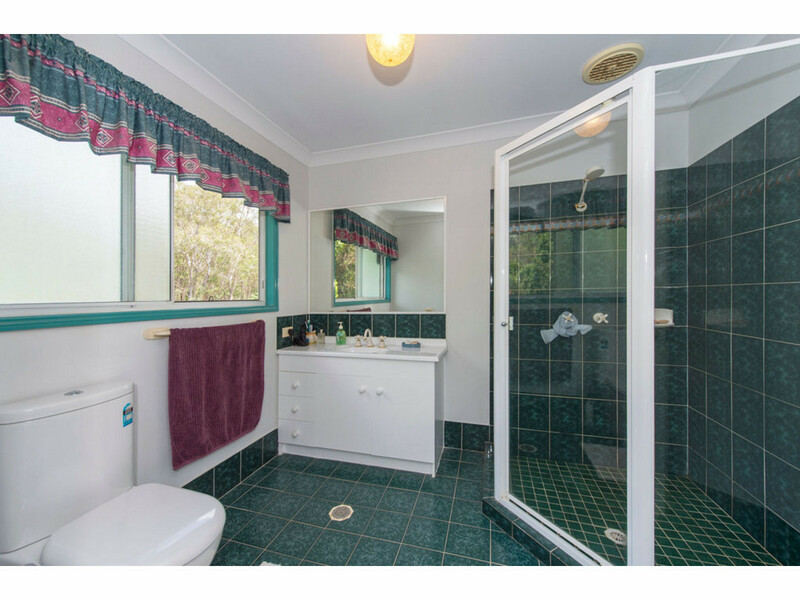 Master en-suite and both bathrooms boasts quality tiling and fittings. 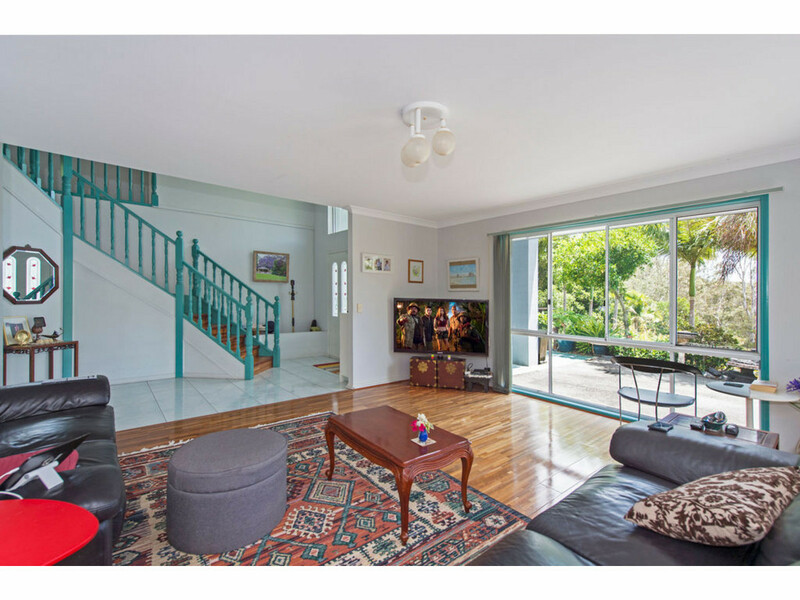 Maintenance is a breeze as internal floors are of tiling and beautiful parquetry timber. 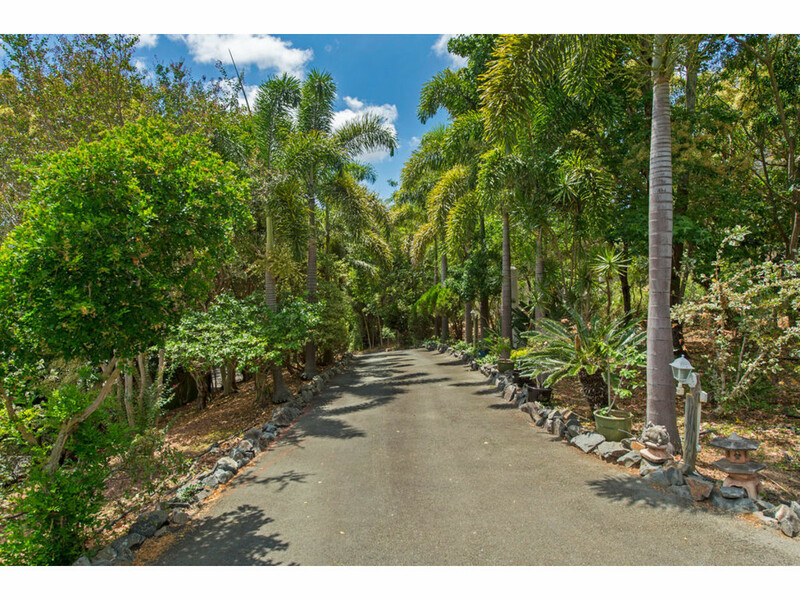 Strolling around the gently sloped grounds you’ll be enhanced and enjoy the beauty of the numerous fruit trees and shrubs, lovingly maintained with irrigation. 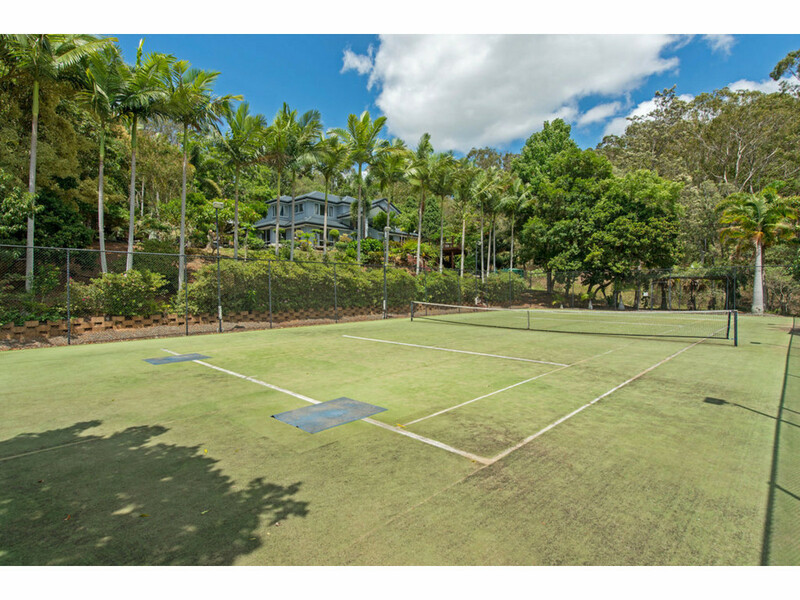 Kids will be entertained in the naturally reserved eucalyptus woods. 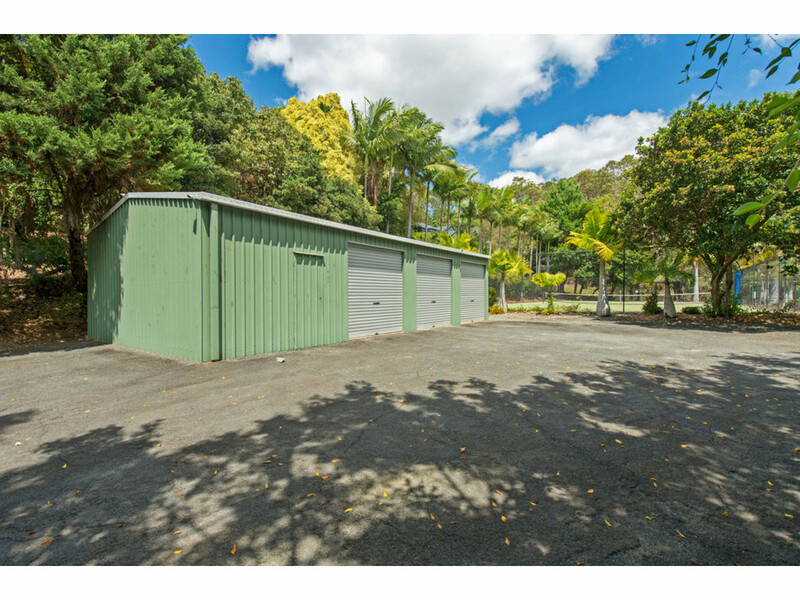 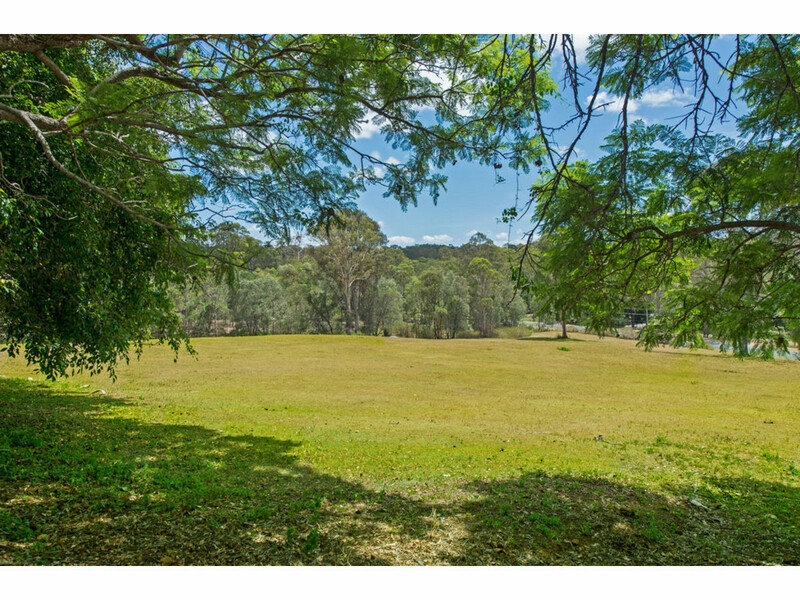 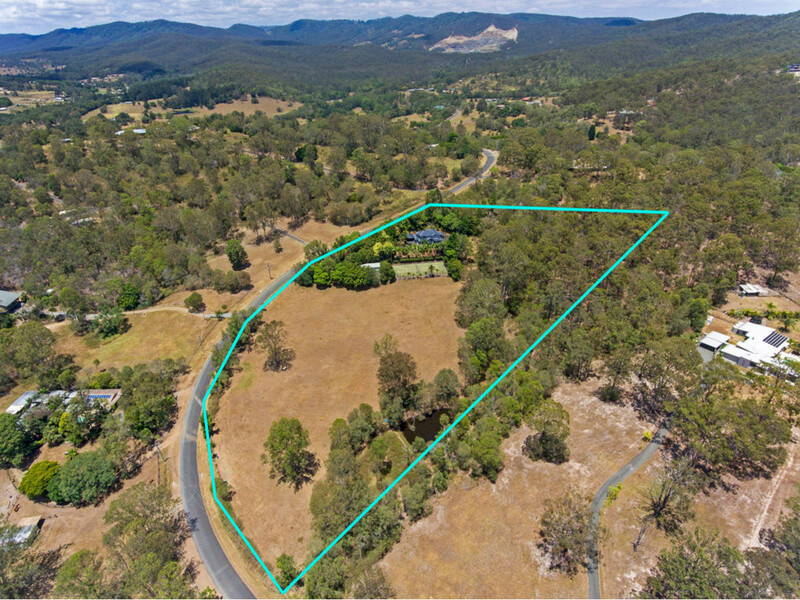 Your pets and family horse will benefit from the use of the gently sloped secure paddock. 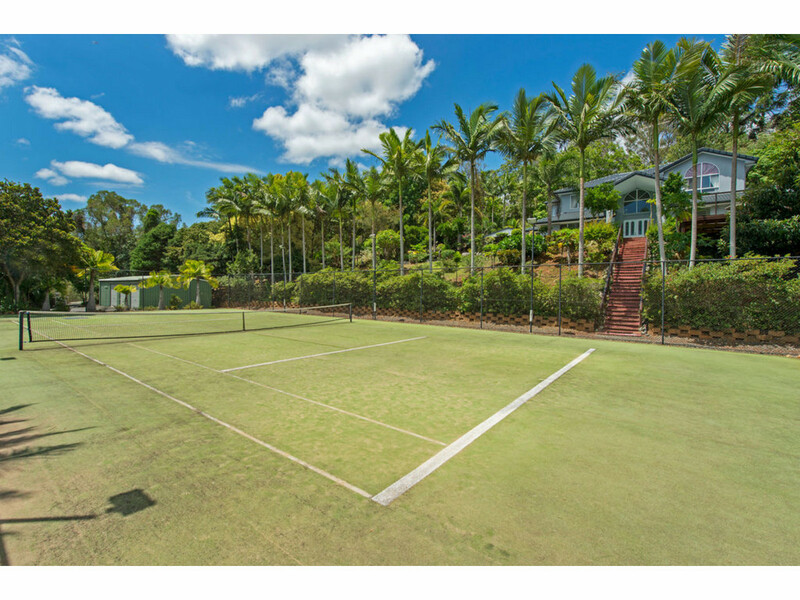 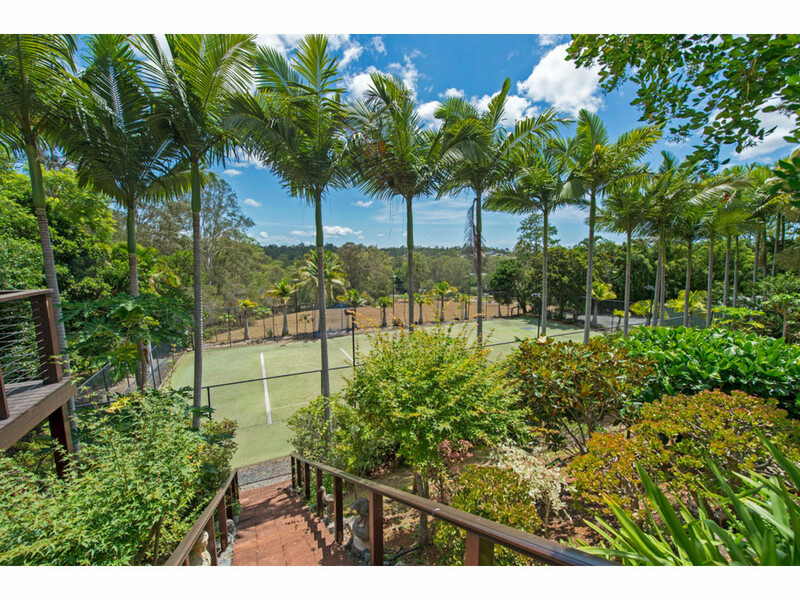 The large deck enables family and guests to enjoy watching the tennis tournament, built purely for family and guest enjoyment and exercise, while taking in the lovely peace and quiet of the leafy, attractive surrounds. 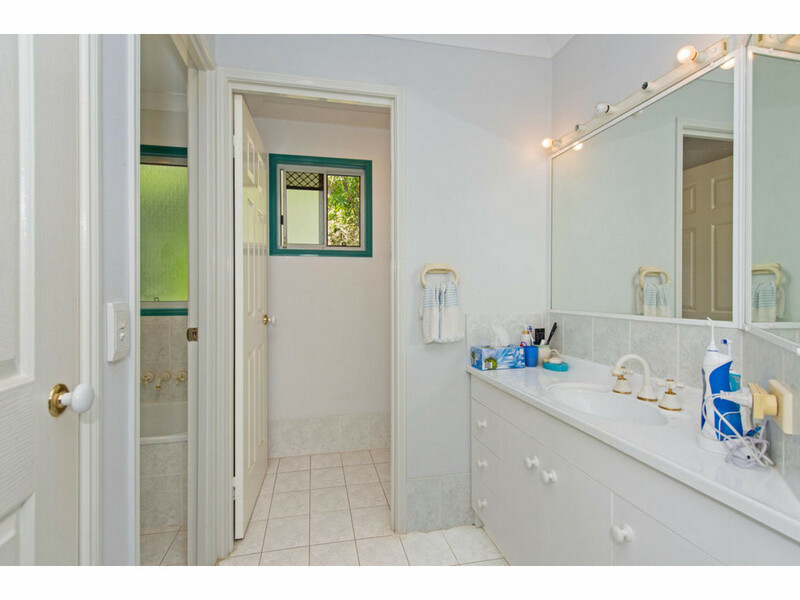 * Wall mounted split A/Cs and CCTV systems. 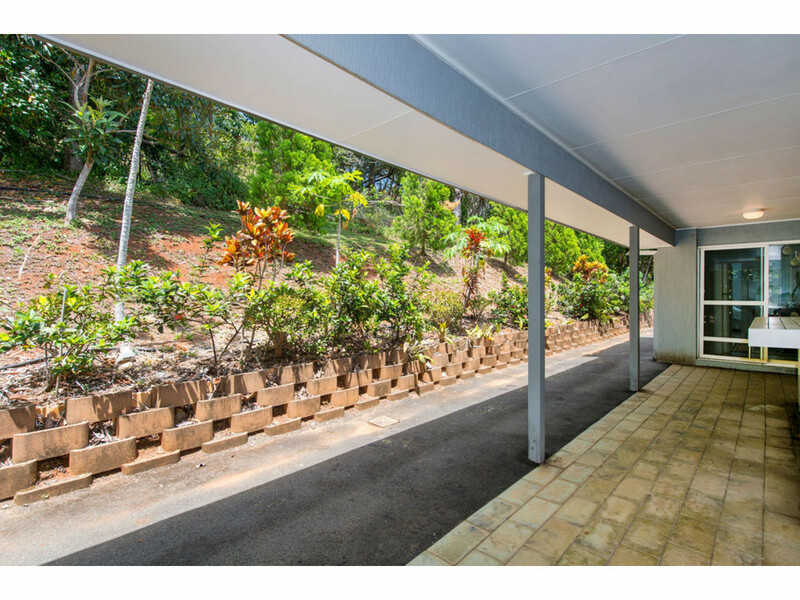 * Exterior wall treated with Granotrowel. 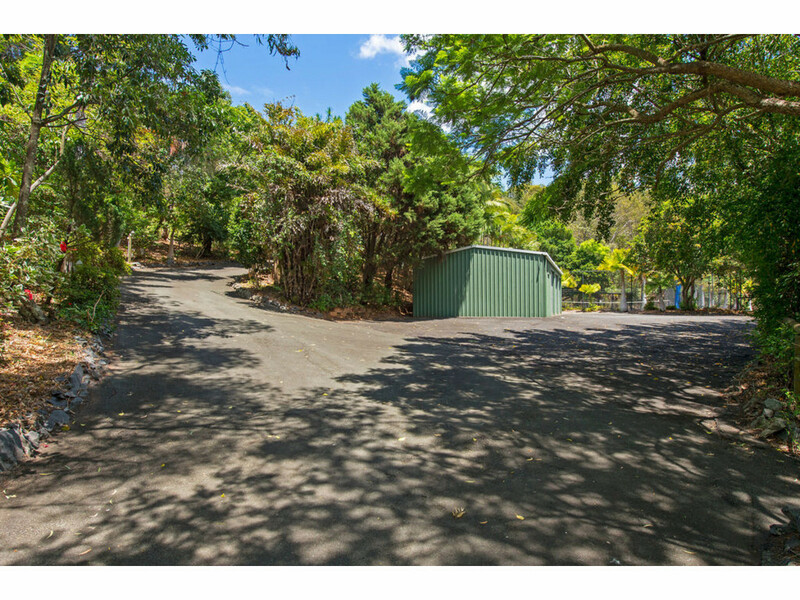 * Sewer and septic water treatment system. 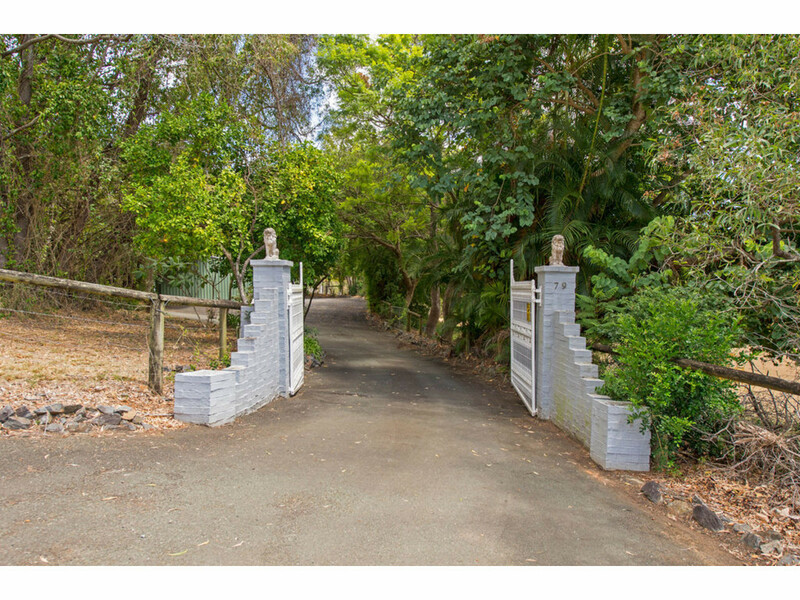 * Secure fencing and electric operated entrance gate. 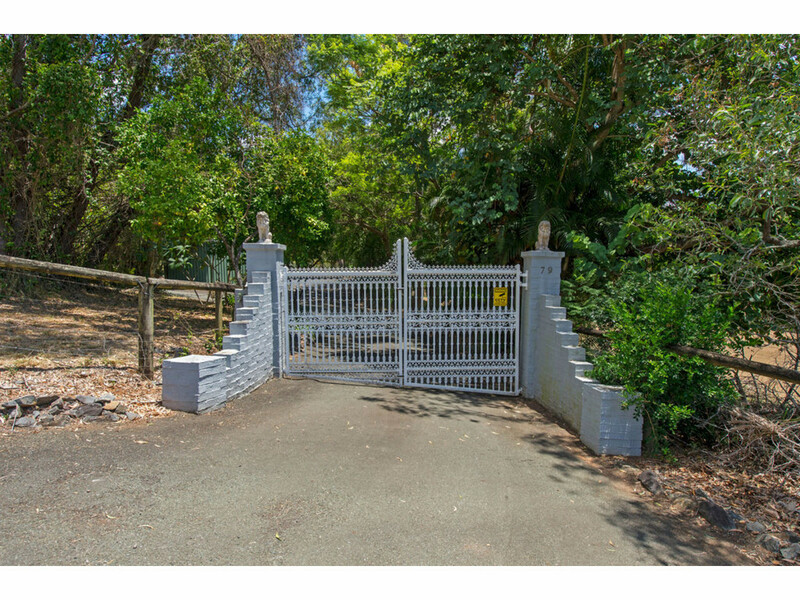 * Electric operated aluminum cast iron gate providing for easy access and good security. 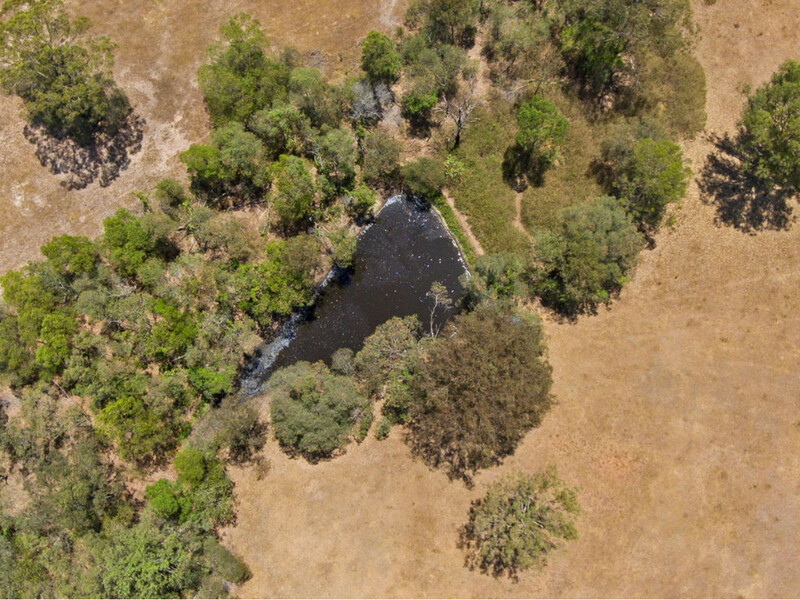 * Good quality bore water supply for irrigation and redundant house water.